I really love books. Ever since I picked up my first Ladybird book in a thrift shop as a toddler, I’ve been in a love affair with the written word. I love to read all kinds of books, from non-fiction to chicklit, poetry to literary fiction, classics to YA to biographies. I love doing reviews of what I’m reading here on the blog and sharing about the books that are making me laugh, cry, and think. I love the world of words and stories, and am hoping to do more and more book blogging in the year to come. It’s something I really enjoy! 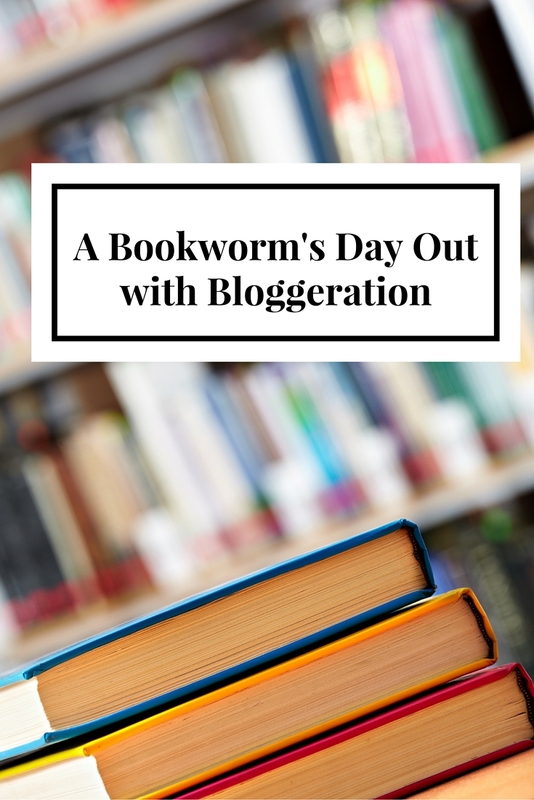 Imagine my delight when I was able to sign up for a blog event last week all about book blogging, book tubing, and all things literary. The Bloggeration events are run by the lovely Sarah of The Prosecco Diaries and have focused on a range of topics, including lifestyle, health, and books. The event last weekend was the last of the events for 2015 – I’ll be looking out to see what delights 2016 may hold! The event was held in the events space at the O Bag Factory in Crouch End, north London. It’s actually the first time I’ve ever been to that part of town! After six and a half years in the city it’s always fun to visit a part of the city that’s new. The space was perfect for our dozen, with a light, bright basement space with plenty of room for breakouts and a table for discussions. Sarah had made the whole space look fresh and inviting, with a large vase of pretty flowers from Bloom and Wild setting off the decor beautifully. After we’d all arrived and settled down with a cuppa and a squee over the supercute notebooks we had been gifted (you know me, I *love* stationery), we had a great roundtable about blogging, blog ambitions, and social media. It was fun to be amongst peers and think out loud a little. We were all at different stages and phases of blog life, so it was fun to bounce ideas around. We then had a sort of mini book club where we suggested books for each other to try – I’m going to write up both my suggestions and those of others in the not too distant as I think there were some great books recommended! After lunch (mmmmmm, pizza) we got ready for the next phase of proceedings. Stephenie from Penguin Random House came in to chat with us – a golden opportunity for anyone who loves books and reading. She was warm, knowledgeable and brilliant and it was wonderful being able to chat with her, hear her take on things, and explore how PRH and other publishers currently work with online writers and reviewers and how they hope to work with bloggers and vloggers in the future. I throughly enjoyed the whole day but I think this was the highlight for me – to learn so much about the world of publishing was a real treat. After a busy day full of inspiration, ideas and genuine book-geekery, it was time to head out into the November evening, laden down with two super gift bags! The bag from Penguin contained half a dozen great books which I’m working on already; and the bloggeration one was full of treats, snacks, tea, and a superb ‘Go Away I’m Blogging‘ mug. Thank you so much to Sarah for a great event, and to her main sponsor Zazzle for making the whole event possible. I left on a real high and will look forward to further Bloggeration events in the new year. And to all the lovely bloggers I met – I’ll hope to catch up with you again soon and I’m loving checking in on your blogs! I'm glad you had such a wonderful day. I like books and reading too, but I'm limited there, I don't understand most poetry and find literature hard to plow through. So I read fiction; I like books that grab me on page one and take me away into the story until the last page. Comedy novels, crime and mystery, romances that aren't too mushy; young adult stories too. But I couldn't do a review if my life depended on it.I try a little writing too, but just on my blog with a weekly word challenge. Good fiction is a delight. We are off on a short holiday later this week and I can't wait to dig into a couple of good books! I hope they run it again – it was such fun!